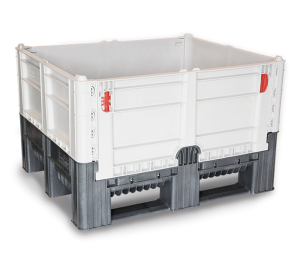 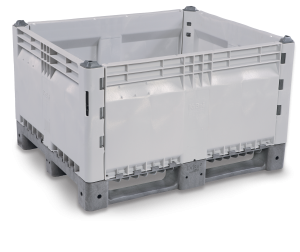 The DFC bin is a heavy-duty folding container with a hygienic, FDA approved design perfect for the clean and secure transport throughout the logistic supply chain. 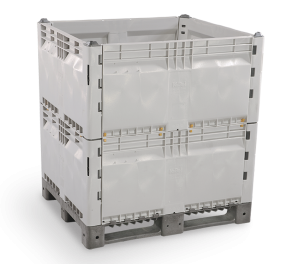 The walls of the DFC are foldable, and the breakdown and set up is easily managed by one person. 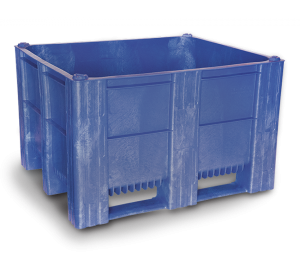 Designed with three integral runners for stronger and more secured tipping when using a forklift, these bins are stackable, durable, and available in solid or vented walls. 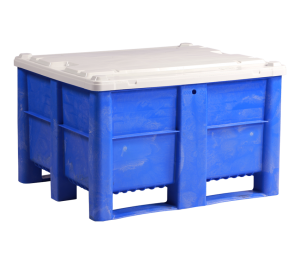 40.94" x 48.43" x 3"